Our Tour de France 2003 Trip! We decided to follow the last two weeks of the 2003 Tour de France. We chose to hire the www.velovacations.com package "Pyrenese to Paris." There are three groups of 25 each and we are in the Jacques Anquetil group. 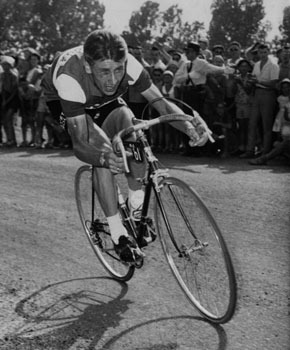 Anquetil was the FIRST 5-time winner of the Tour. Here is a log of our trip to the Tour.